On this beautiful Earth Day, I'd like to share with you the wonders of my part of the planet. Subtle scents permeates the air in the Pacific Northwest at this time of the year: Soft tassels of new growth fir and spruce trees - their scent reminiscent of citrus and fresh-cut grass. 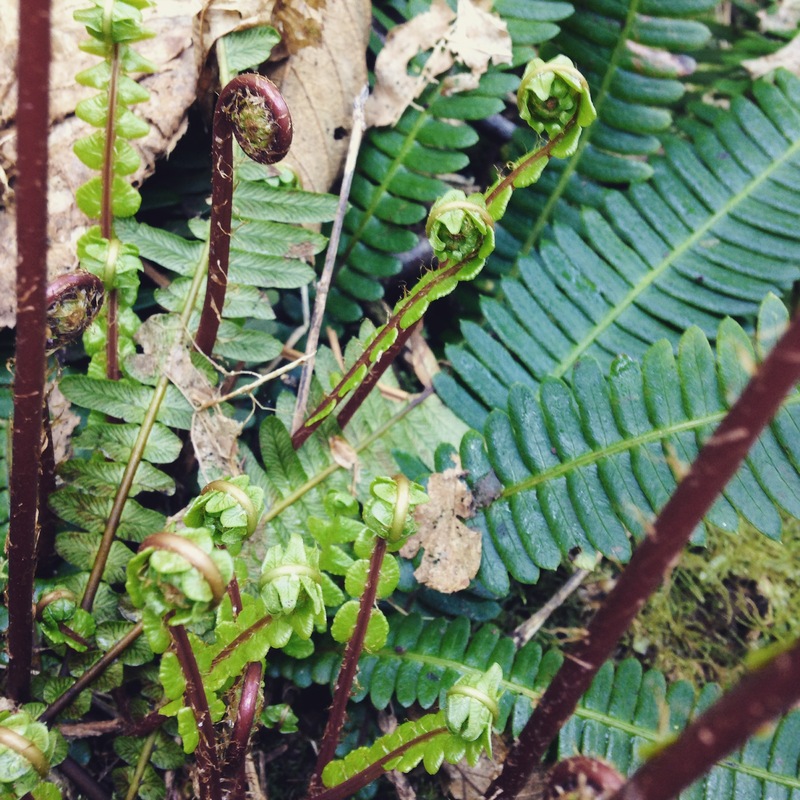 Fiddleheads emerge from the damp forest floor. They spiral towards the light and their shoots are tender and delicious. Miniature galaxies of elderflowers, with their blackcurrant-like aroma dot the forest like little fragrant stars. And last but not least: the balsamic sweetness of the budding black cottonwood trees, which envelop the forest trails with a promise of sweet, warm sunny days. 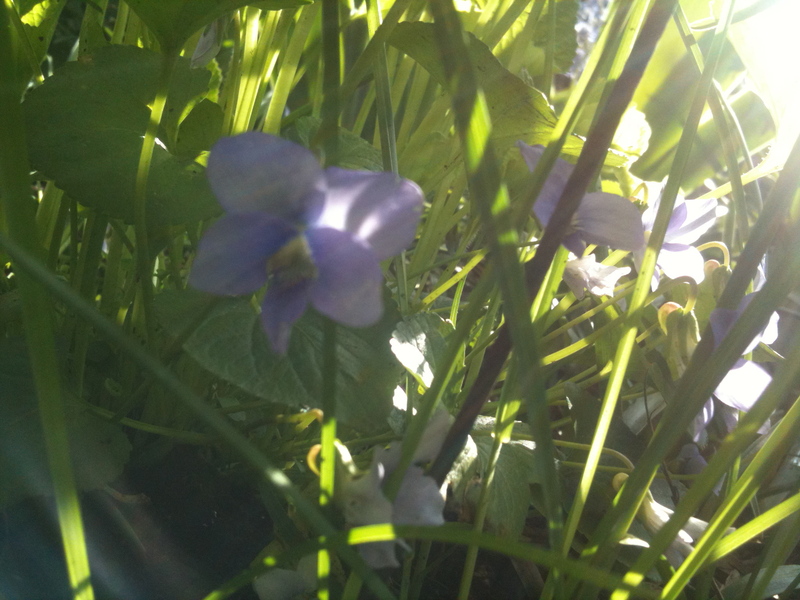 All of these are nature's reminder to steer away from the floral cliches and celebrate spring with other plant-parts. If you are like me, spring is the time of year to rediscover the classic Fougeres in your wardrobe, and discover new plants that are coming to life, as well as discover new wild plants to forage and bring nature home, literally, after our long hibernation. Fiddleheads are the budding, coiled “leaves” of ostrich ferns (Matteuccia struthiopteris). The fiddleheads are present in early spring, and are considered a delicacy. 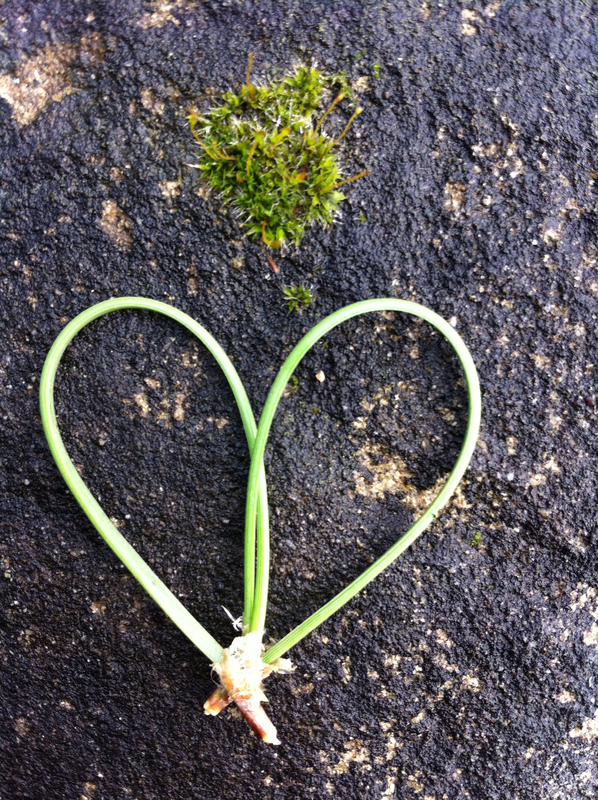 They have a very similar to asparagus in both flavour and texture - but a lot more tart. Perhaps it's the fiddleheads - spring to me is the best season to enjoy fragrances from the Fougère (fern in French) family. 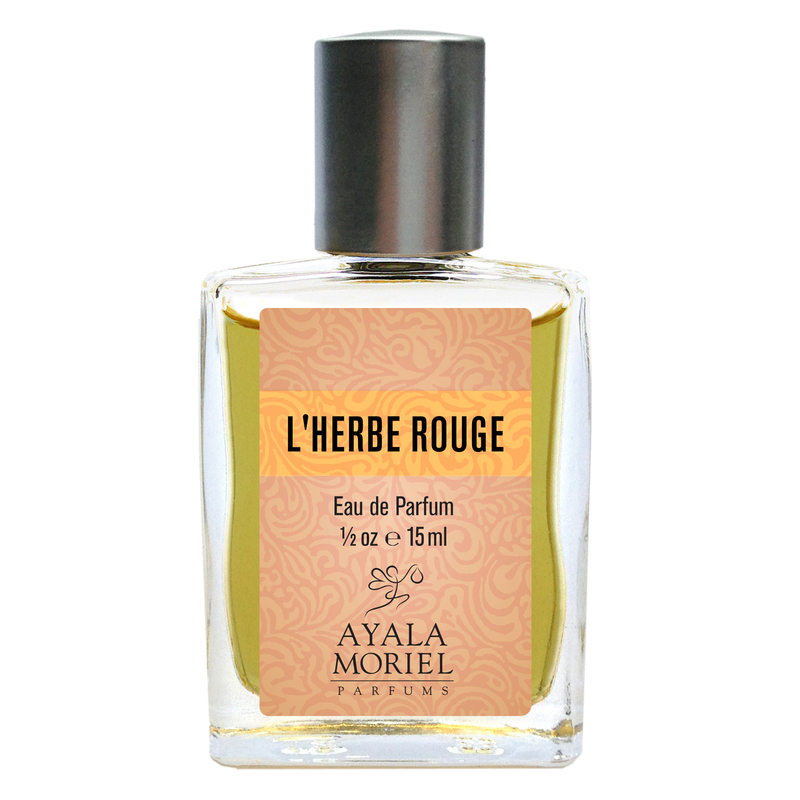 Namely, l'Herbe Rouge. You might also want to try my idea for an Edible Fougère Recipe: Fiddleheads in Lavender Butter. A wonderful way to enjoy the scents of the forest all day long is place a few of these conifer buds in your water bottle. 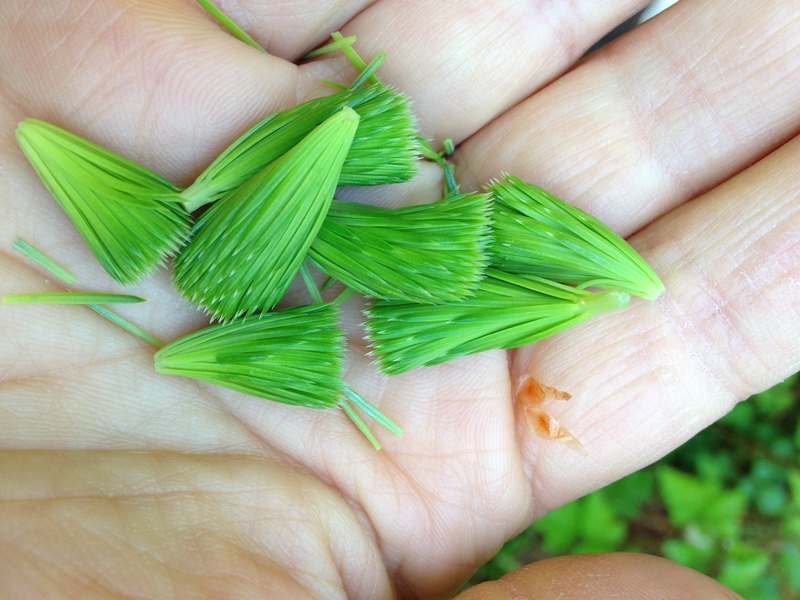 Douglas Fir is the most delicious of all - and the needles can be used that way year-around. 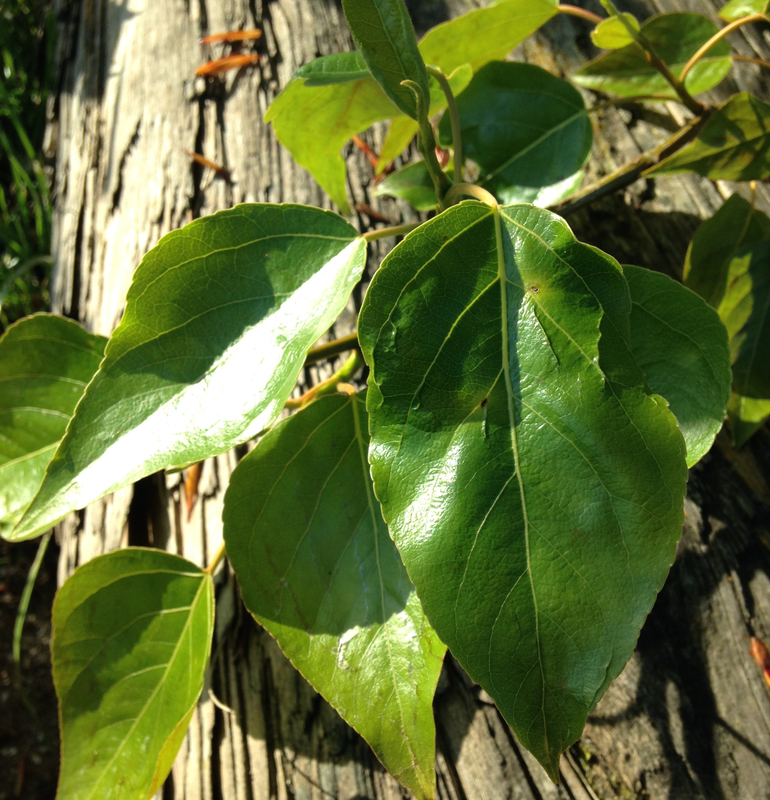 You'll stay hydrated and also benefit from the vitamin C that is naturally occurring in these leaves (the only local source of those until the summer berries ripen). They smell like a Christmas tree and have delicious, slightly tart lemon-tangerine aroma. 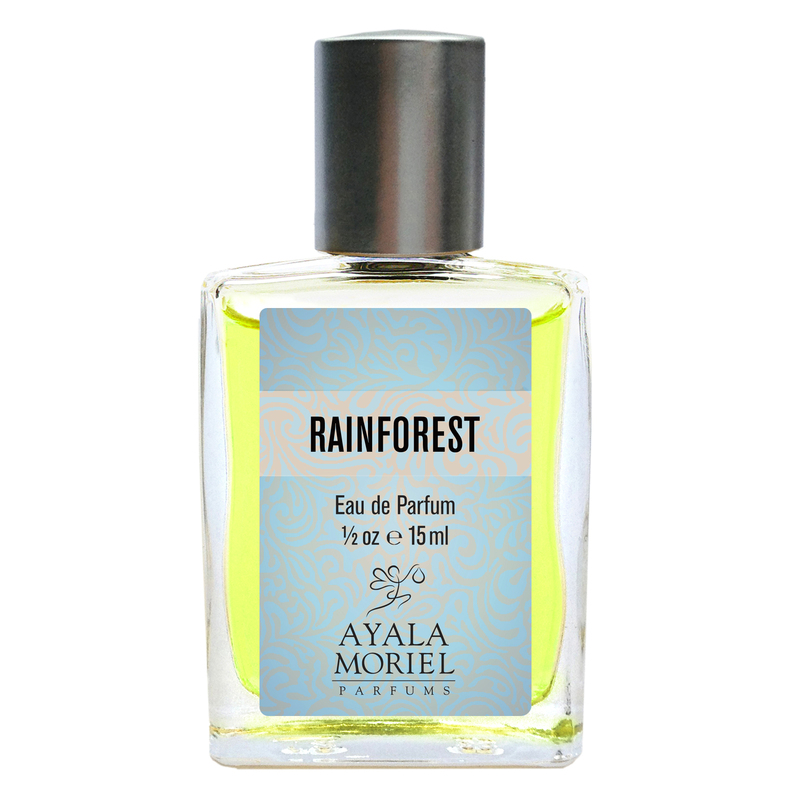 Rainforest perfume captures the scent of the temperate Pacific Northwest forests - the largest of the temperate forests in the world, and with the most productive biomass. It combines the fragile, crisp cucumber notes of violet leaf with damp forest floor with spruce, juniper and pine. 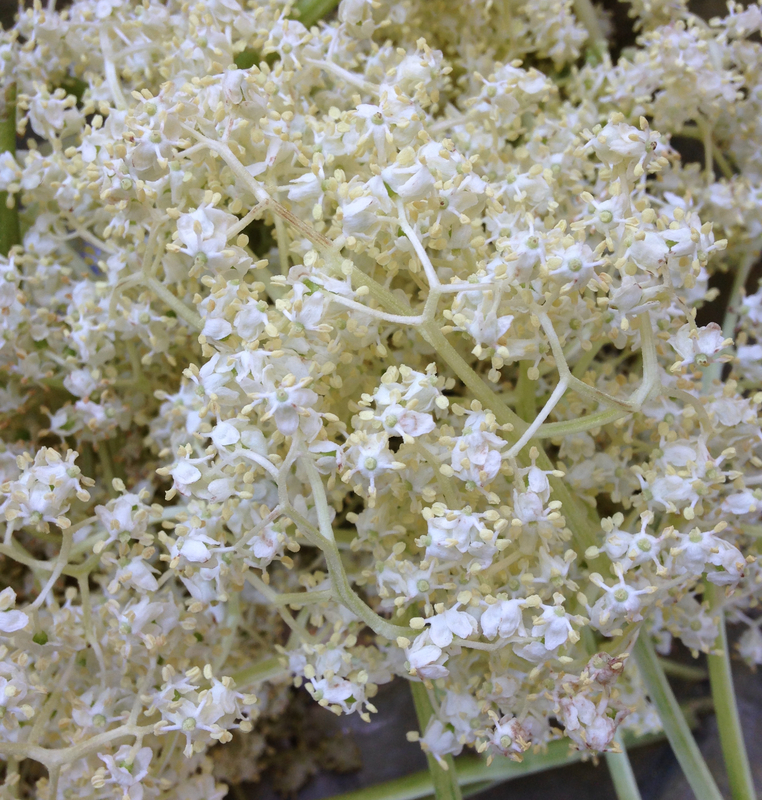 Rainforest also makes use of my very own wild-harvested elderflowers essence - which is our next topic! If you've ever visit my studio in April and May, you'll be served the fragrant and refreshing elderflower"champagne" - effervescent soda infused with wild-foraged elderflowers that I make at home. You can create your own by following my recipe on SmellyBlog. Also, you may enjoy a subtle nuance of elderflowers in Sandal Ale - where it adds a fruity aroma to balance the sweet apricot and funky hops notes. I'm yet to try this Cottonwood Bud Oil Recipe, an infusion that has healing properties for muscle aches and damaged skin; but I've been inspired to capture this scent in a perfume by tincturing it. 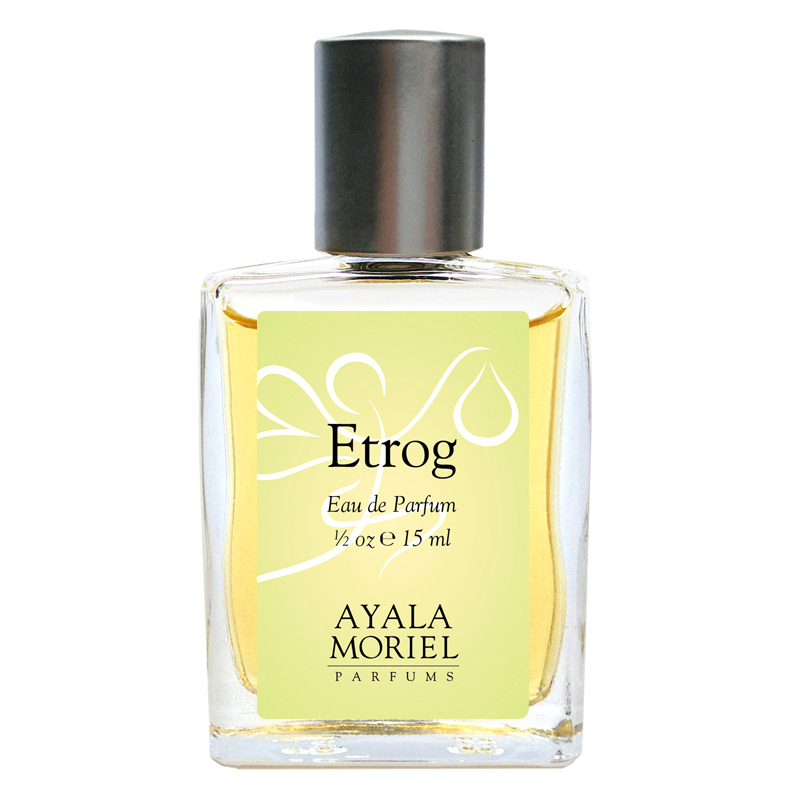 Etrog Oy de Cologne, however, uses a different part of a tree from the same family: balsam poplar buds absolute. It gives it a unique, honeyed aroma that echoes the sweetness of the rare citron fruit. And speaking of citrus - have you heard about the Citrus & Cologne Week-long Course (May 4-8)? It's perfect for beginner students of perfumery, and there are 2 spots available. 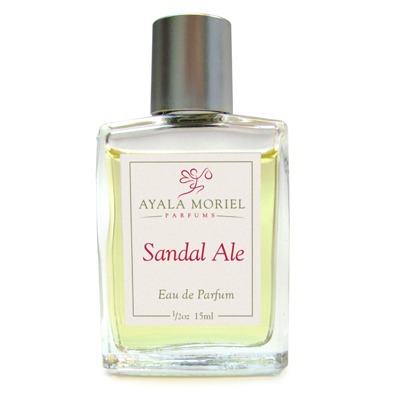 For more ideas on how to celebrate the beauty and diversity of this planet with local, handcrafted perfumes made with wild-harvested botanicals, visit ayalamoriel.com.